The long anticipated 2014 Enchanting Europe Tour with Belcanto directed by Mr. Bruce Koliha came to an end. The group arrived safely back home in California, visited vibrant European capital cities such as London, Paris and Rome and made wonderful experiences along the way. 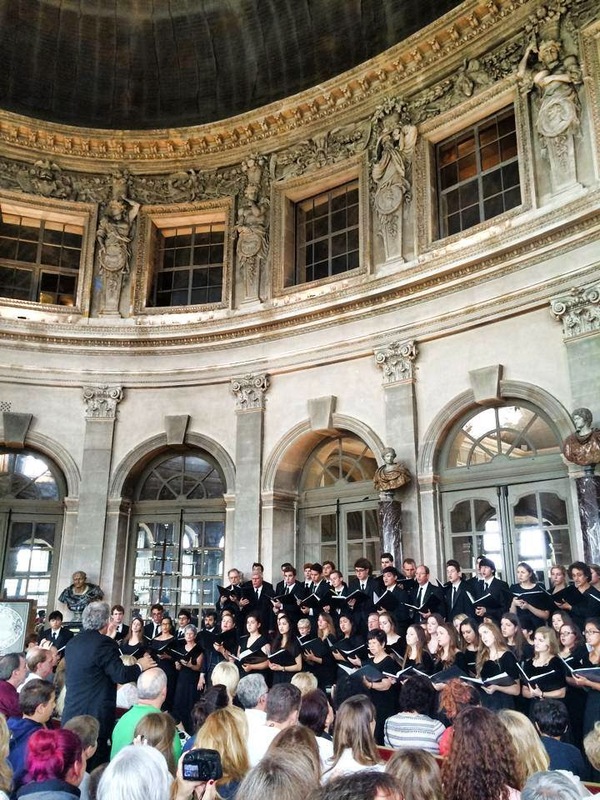 One of their top destinations during their tour with Incantato Tour was the privately owned legendary Château Vaux-le-Vicomte located in Maincy, France where they had a wonderful concert on Saturday July 5, 2014 in the stunning Grand Hall. This surely was a royal experience. If you are interested in the wonderful acoustics the château has to offer, please have a look at one of the Belcanto performances here on our Facebook page. The baroque château was built from 1658 to 1661 for Nicolas Fouquet, Marquis de Belle Île, Viscount of Melun and Vaux, the superintendent of finances of Louis XIV. It was an influential work of architecture in mid-17th-century Europe. At Vaux-le-Vicomte, the architect Louis Le Vau, the landscape architect André le Nôtre, and the painter-decorator Charles Le Brun worked together on a large-scale project for the first time. 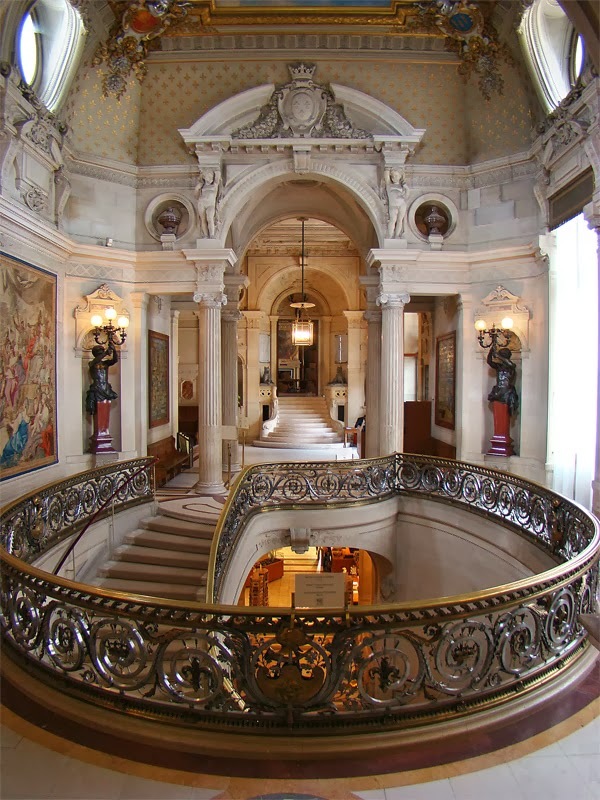 Their collaboration marked the beginning of the "Louis XIV style" combining architecture, interior and landscape design. 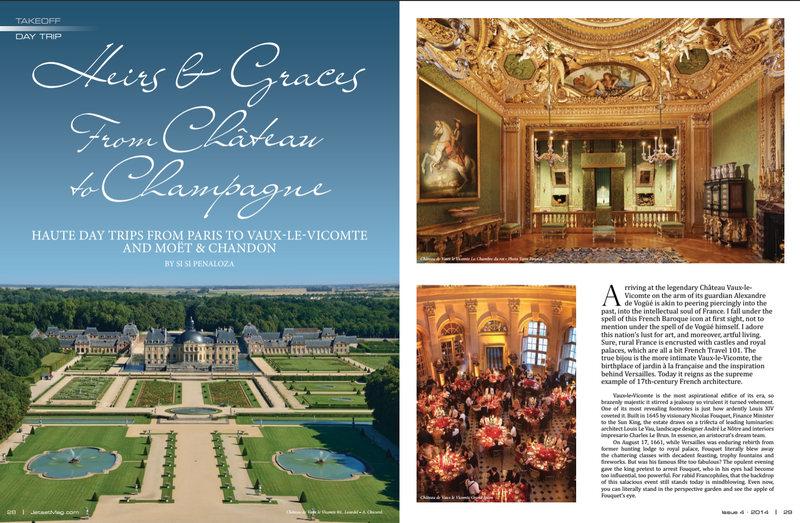 It is no wonder why every year many visitors travel to the château, which is located 1.5 hours outside of Paris, or why celebrities travel here for their destination weddings. When you step onto its grounds, you get an immediate royal feeling. It is almost like you are the living character of a fairytale. Where ever you look there is something interesting and incredibly beautiful to discover. Even high-end magazines such as the Jetset Magazine, which is the number one affluent lifestyle print and online resource writes an article about this magnificent place as you can see here. 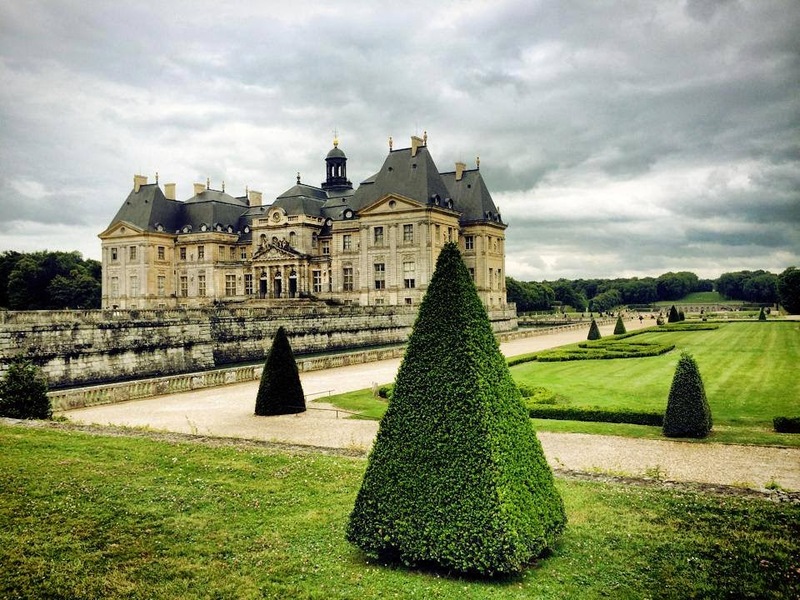 Incantato Tours recommends everyone who is traveling France to take the time and visit Château Vaux-le-Vicomte. You will not regret it! British Airways has been advised by the US Transportation Security Administration of additional security regulations for travelers on their inbound flight to the United States. All British Airways flights continue to operate as normal but travelers may be subject to additional searches and questions. British Airways are asking travelers to arrive in good time (3 to 4 hours prior to the departure time) for the various stages of their journey, including check-in, main security search areas and at the boarding gate. The main change is that customers with any electronic or battery powered devices (mobile telephones, tablets, e-books, laptops, etc.) may be required to turn on their device in front of security teams and/or demonstrate the item’s functionality. If, when asked to do so, customers are not able to demonstrate that their device has power, they will not be allowed to take their device with them on their planned service. Please note, it will not be possible for customers to place the item in their hand or hold luggage - they will have to leave the item behind or rebook an alternative flight. Customers will still be able to use their electronic devices on board subject to the normal operating rules. Please click here for the British Airways guide on how you can use electronic items on board. Therefore the travelers are asked to ensure that items they bring with them are fully powered before they arrive at the airport. Please keep in mind that in case of a connection flight, there will be very limited charging points at airports. Also, do not bring broken electronic items with you. Since Wednesday, June 25, 2014 the JSerra Catholic HS Chamber Singers and Advanced Women's Ensemble under the direction of Mr. Brian Dehn are traveling to Spain and Portugal with Incantato Tours. Today they enjoyed a guided city tour in Madrid and were featured guest choir for Mass at Basilica de Nuestra Senora de Atocha. Tomorrow the singers are going leave Spain's capital city and drive with their tour manager Alicia to Córdoba, a city that changed the world and witnessed the dawn of western civilization, where they will spend their next two nights. If you are interested in more information and live tour updates, please have a look at our Facebook page. The Fête de la Musique – the European and worldwide Music Day – is an annual festival held on 21 June, the start of summer. It transforms cities around the globe into theatres of enchantment and magical sounds. It sounds simple. All the events are free and open to the public. All musicians waive their fee and all the concerts take place in unusual venues – mostly outdoors. 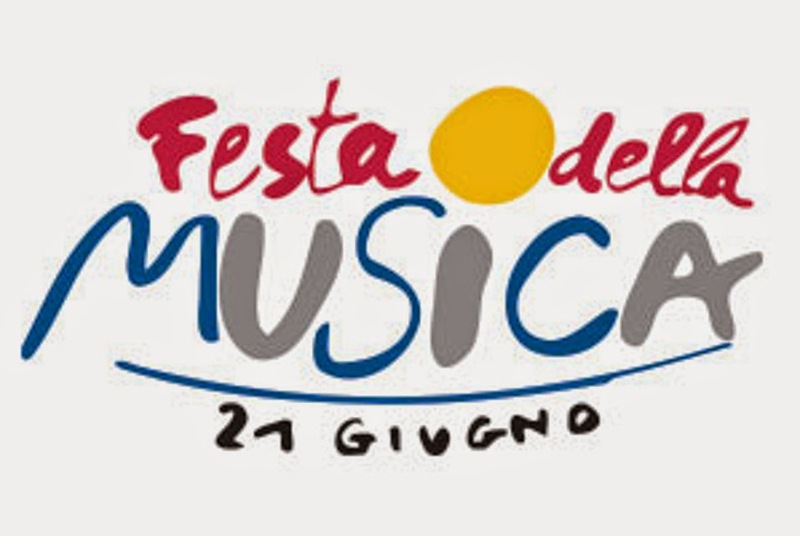 Everyone is welcome at the Fête de la Musique or Festa della Musica how the Italians say. That this formula would grow into a worldwide movement that reaches out to millions of people every year must have been beyond the wildest dreams of former French Culture Minister Jack Lang, who organised the first Fête de la Musique in Paris in 1982. The seed was sown and now the event unites people in over 340 towns and cities worldwide, 60 of them in Europe. There's nothing that can not be heard. Bands, orchestras, choirs, soloists and DJs perform music of every genre. One other thing remains the same - the Fête de la Musique is a non-profit, non-commercial event. Like everything at the Fête de la Musique, it is about friendship, joy, respect and in short, humanity in music. 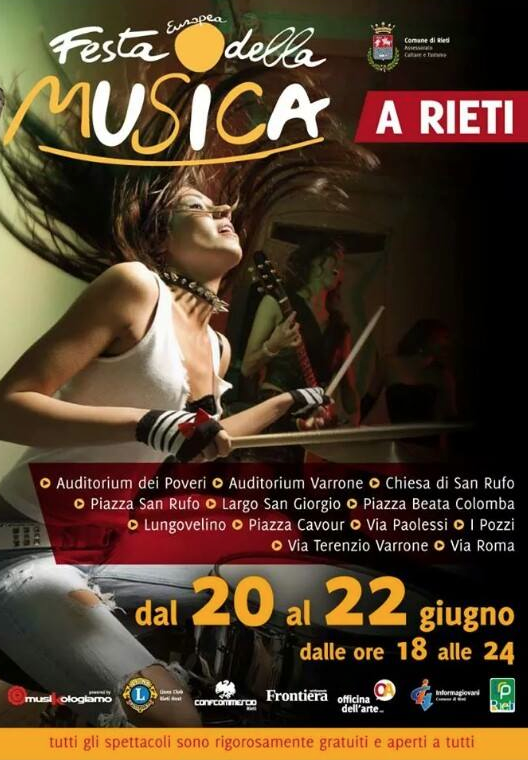 One of our upcoming touring choirs to Italy this year, the Phoenix Girls Chorus Cantabile, is going to participate in this wonderful celebration in Rieti, Italy. Auditorium dei Poveri, Auditorium Varrone, Piazza S. Rufo, LungoVelino, Piazza Cavour, Via Paolessi, Largo S. Giorgio, Via Terenzio Varrone and Piazza Beata Colomba. The Mountain View Presbyterian Church Choir travelers under the direction of Mrs. Kay Randolph from Scottsdale, AZ made it safe to Europe. On Friday, June 5, 2014, they were awaited by their tour manager Ivo Janousek at Frankfurt Airport and spent their first night in Germany in the beautiful city of Weimar. They have a 12-day performance tour ahead of them with wonderful hotels, lots of delicious German and Czech food and magnificent musical experiences. This is a summary of their venues and performances, which are hand-selected and organized by Incantato Tours. 1. 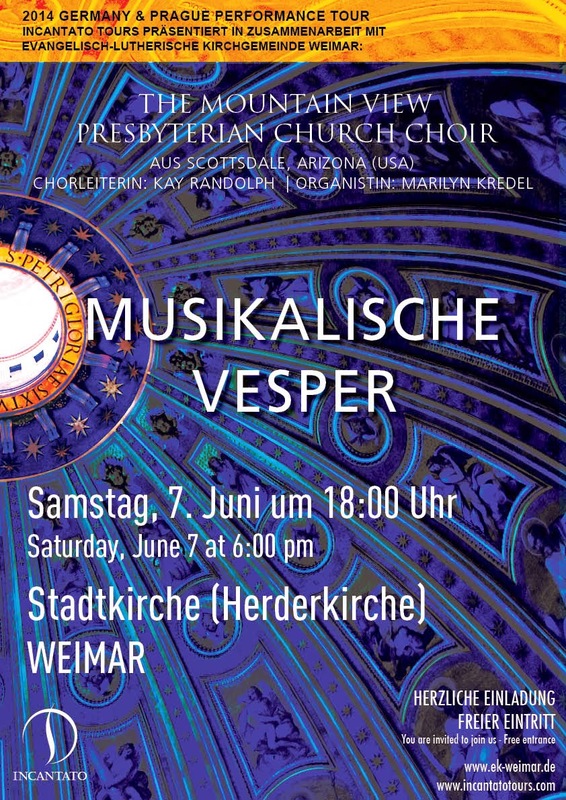 Saturday, June 7, 2014 - Musikalische Vesper at Herderkirche in Weimar, Germany at 6:00 pm. 2. Sunday, June 8, 2014 - Highlight Concert at Traukirche in Dornstein, Germany, where J.S. Bach got married at 7:30 pm. 3. 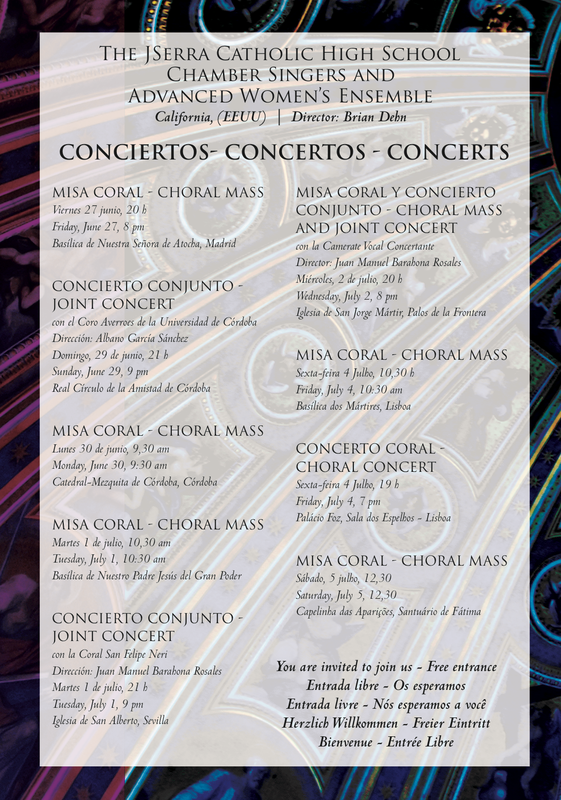 Monday, June 9, 2014 - Recital at Thomaskirche and the tomb of J.S. Bach in Leipzig, Germany around 12:30 pm. 4. 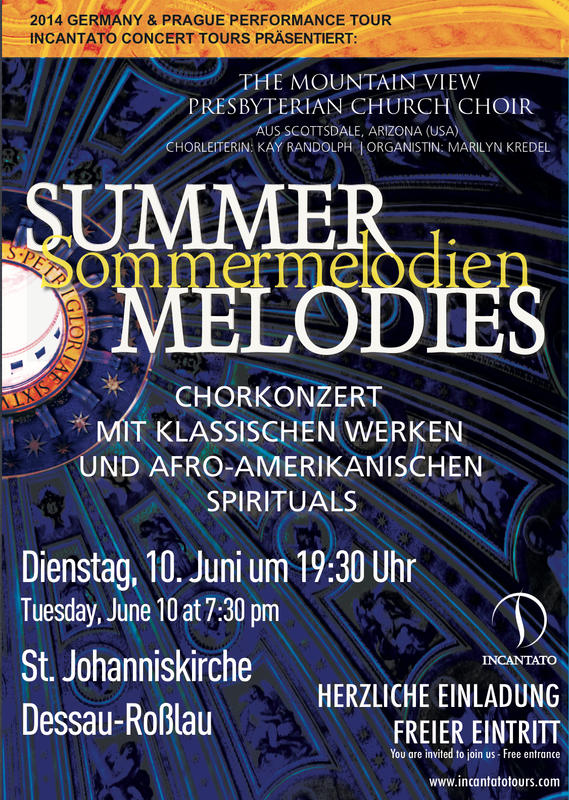 Tuesday, June 10, 2014 - Concert at St. Johanniskirche in Dessau-Rosslau, Germany at 7:30 pm. 5. Wednesday, June 11, 2014 - Recital at the famous Berliner Dom, main altar prior to the Andacht at 11:30 am. 6. 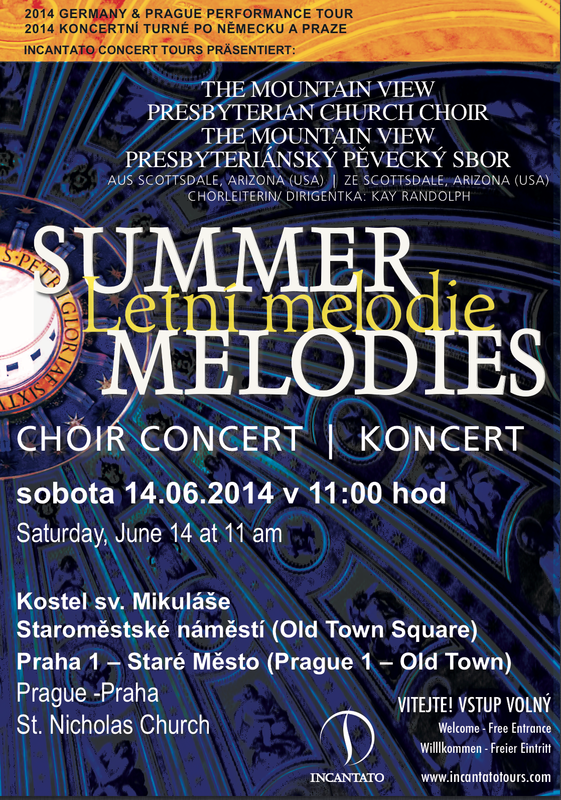 Saturday, June 14, 2014 - Concert at St. Nicholas Church in Prague, Czech Republic at 11:00 am. 7. Sunday, June 15, 2014 - Sunday Service at St. Salvator at Salvatorska Stret in Prague, Czech Republic at 9:30 am. For more information about their tour, please have a look at their tour blog here and also check out our Incantato Tours Facebook page. 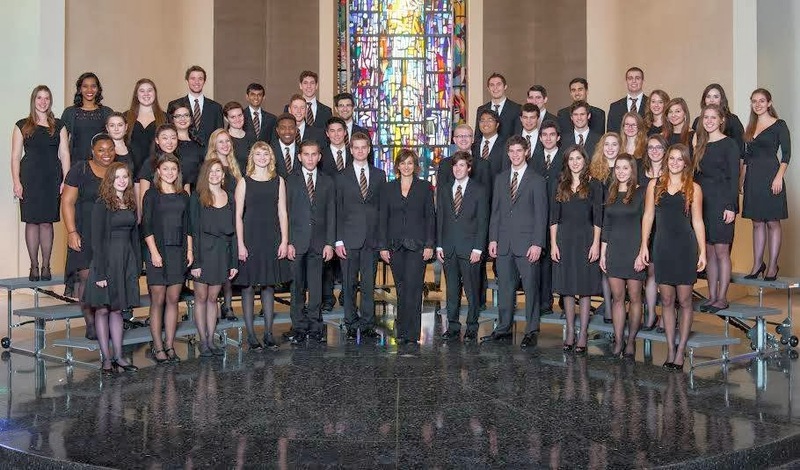 The Bob Cole Conservatory of Music at California State University, Long Beach Choir, under the direction of Dr. Jonathan Talberg, is going to embark on a 11-day Italy and Vatican Performance Tour proudly presented by Incantato Tours. They will depart on Saturday, May 31, 2014 and return on Tuesday, June 10, 2014 with memories that last a lifetime. They are going to stay in wonderful hotels and are able to perform in amazing venues. If you are interested to see where they are going to perform, please have a look below. For more information and live updates as soon as their tour starts, please have a look at our Facebook page and our Incantato Tours tour blog. Theatre Performance with piano at Teatro Flavio Vespasiano in Rieti at 6:00 pm. at Santa Maria Maggiore, a medieval church, in Florence at 8:00 pm. First of all we would like to wish the SBCC travelers, singers, family and friends a great time in Italy. They arrived yesterday in Florence and their wonderful tour manager Stefania LaRosa welcomed them at the airport. They have a 11-day performance tour ahead of them with beautiful hotels, lots of delicious food and magnificent venues. To give you a little insight in their tour please have a look at the blog entry regarding their hotels here. Below you will find a short summary of their venues, which are hand selected and organized by Incantato Tours. at Sant’ Agostino, which is dedicated to Saint August, in Rieti at 11:30 am. at Teatro Flavio Vespasiano in Rieti at 6:30 pm. For more information and live updates regarding the 2014 Santa Barbara City College Choir Tour, please have a look at our Facebook page. 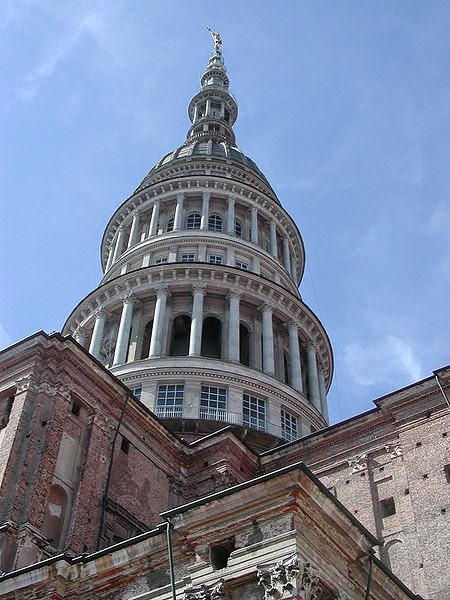 For more than four centuries, the Basilica of San Gaudenzio has been testament to the civil, artistic and religious life of Novara, Piedmont, northern Italy. It also marks the highest point in the city. The basilica is dedicated to the patron saint of Novara, Gaudenzio of Novara, considered to be the first Christian bishop of the city. Tradition states that he was born to a pagan family, and then converted to Christianity after meeting Eusebius of Vercelli. The story of its construction, starting with a project by Pellegrino Tibaldi in 1577 and finally finished in 1690 following the destruction of the old Basilica, ordered by Emperor Charles V. The monumental cupola was designed by Alessandro Antonelli, who also designed the Mole Antonelliana in Torino, the architectural symbol of Torino. 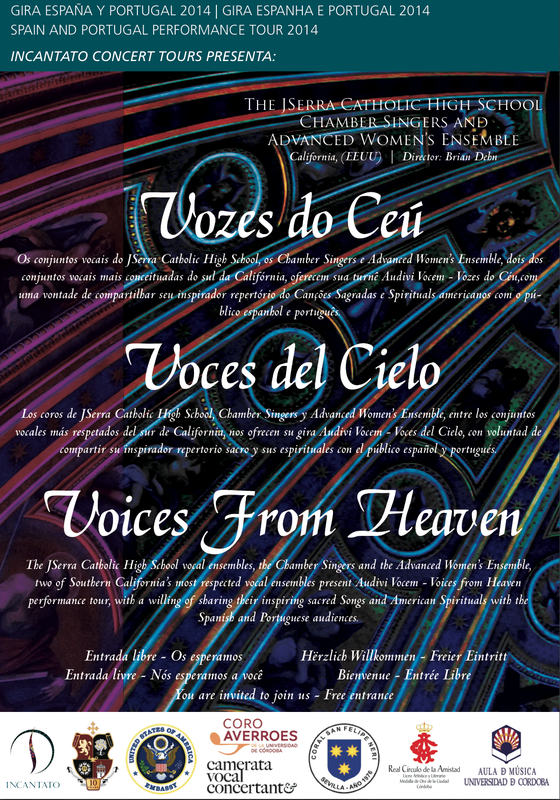 On Sunday, June 8, 2014 at 9:00 pm the Bob Cole Conservatory of Music at California State University, Long Beach Choir, under the direction of Dr. Jonathan Talberg is going to perform at this magnificent basilica. Ever wondered where Puccini learned how to compose La Bohème or Tosca? Did you ever dream of singing at La Scala? Or would you like to play in an important orchestra or learn how to conduct it? Milan offers the opportunity to study in Italy’s largest music academy Conservatorio Giuseppe Verdi, which is located at Via Verdi. Yes, a street named after the famous composer. 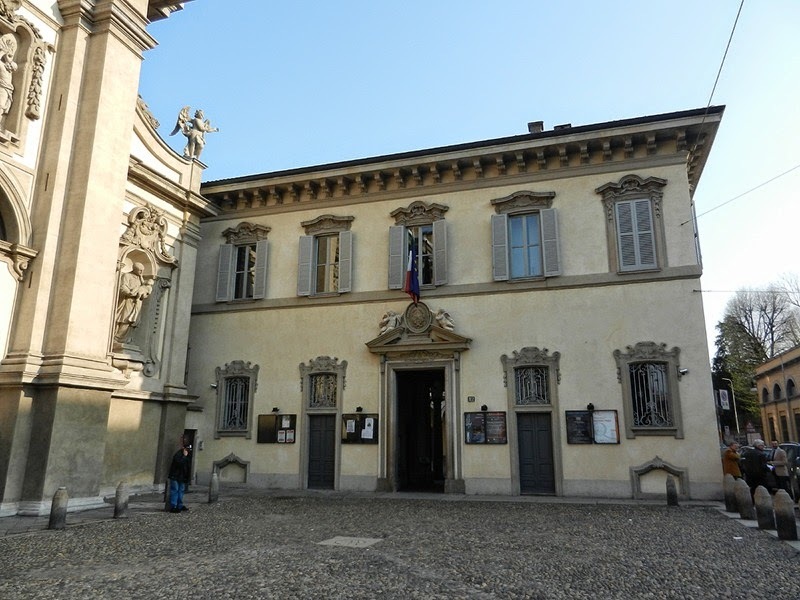 The music college was established by a royal decree of 1807 in Milan, capital of the Napoleonic Kingdom of Italy. It opened the following year with premises in the cloisters of the Baroque church of Santa Maria della Passione. During the past centuries, it has educated many of Italy's most important musicians and composers such as Giacomo Puccini, Giovanni Bottesini or Amelita Galli-Curci. Incantato Tours is proud to announce that Bob Cole Conservatory of Music at California State University, Long Beach Choir, under the direction of Dr. Jonathan Talberg, is going to perform on Monday, June 2, 2014 at Basilica of Sant' Apollinare located in Classe, a small harbor town of Ravenna located about 4 miles south of the city center. 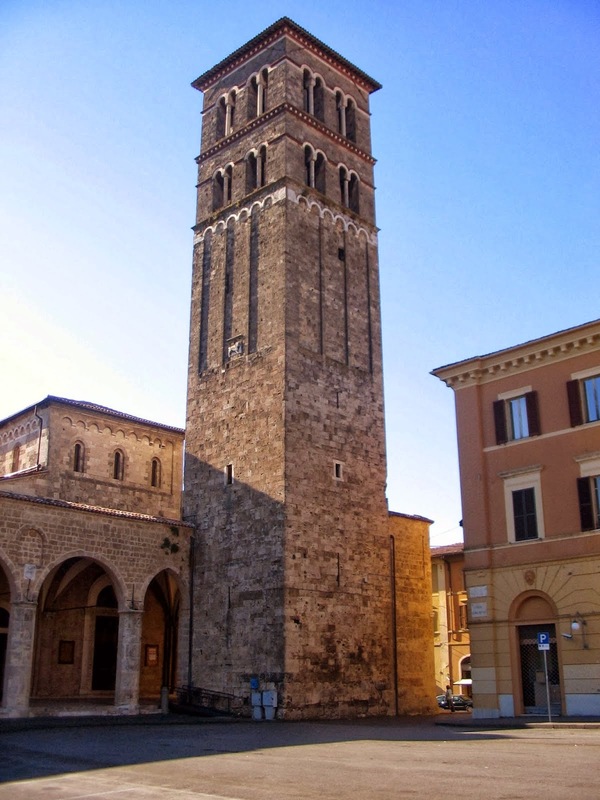 The church was built in the sixth century by order of Bishop Ursicinus, using money from the Greek banker Iulianus Argentarius, and was originally the palatine chapel of Theodoric. The Basilica of Sant'Apollinare is dedicated to St. Apollinaris, patron saint of Ravenna. It is an important monument of Byzantine art near Ravenna, Italy. 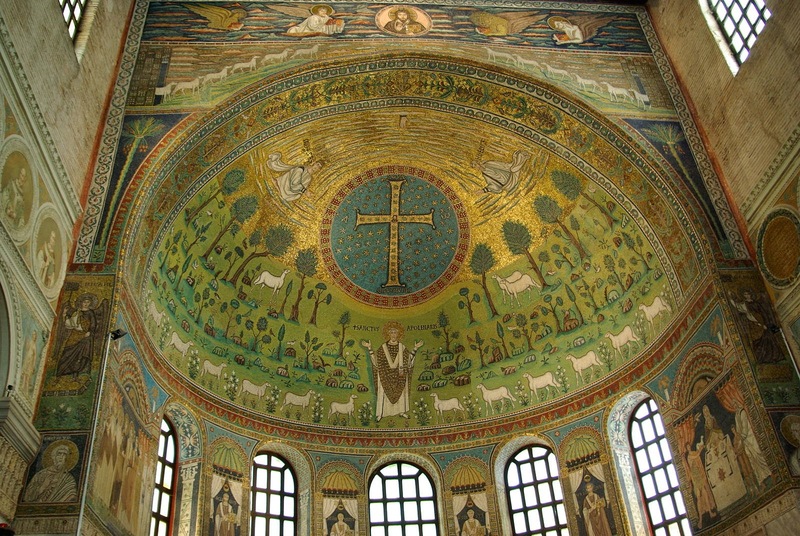 Like most Ravenna churches, it is known for its exceptional Byzantine mosaics. It also has elegant architecture and a fine collection of early Christian sarcophagi. 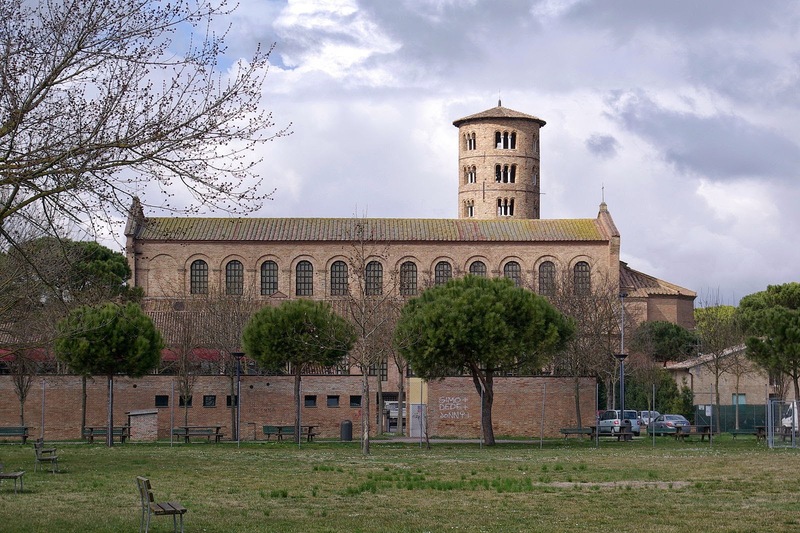 When the UNESCO inscribed eight Ravenna sites on the World Heritage List, it cited this basilica as "an outstanding example of the early Christian basilica in its purity and simplicity of its design and use of space and in the sumptuous nature of its decoration". The Santa Barbara City College Choir is traveling to Italy under the direction of Mr. Nathan Kreitzer from May 28 to June 7, 2014. One of the highlights will be a visit to Rieti - la nostra città - known for its stunning Teatro Flavio Vespasiano Rieti, but also one of the Italian cities with Santa Barbara as its Patron Saint. In addition to performances in beautiful venues such as St. Peter's Basilica in the Vatican, the Basilica of Saint Francis in Assisi, the travelers will experience the many flavors of Italy through artisan food tastings, unique dining experiences etc. 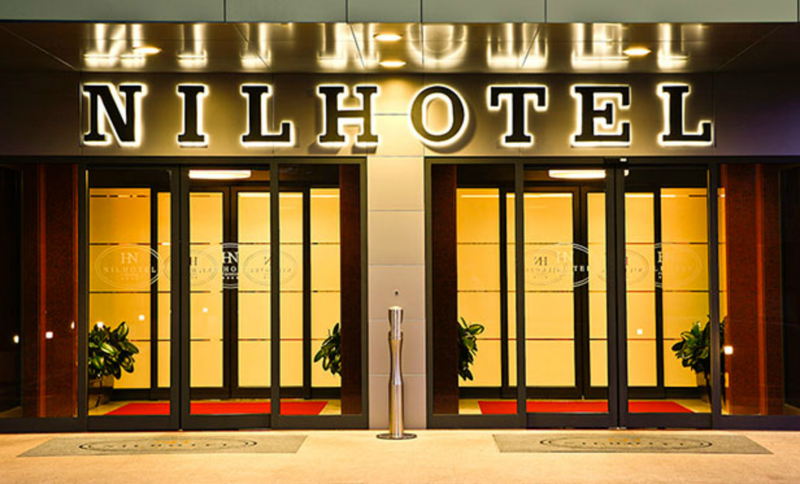 Their first home away from home will be NILHOTEL. 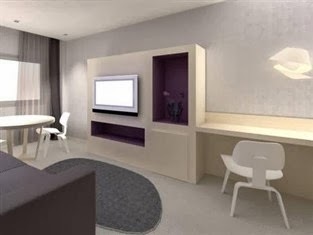 The 4-star hotel was built in January 2009 and offers facilities such as meeting rooms, restaurant, American bar, high speed internet access, an internet point and the WI-FI connection in all the common areas. It is located in the business area of Novoli, on the North/West of Florence, nearby the new University district, the Court and Local Authorities. The hotel is well connected to the historic city center, the Congress Palace, the exhibition area of Fortezza da Basso and to Santa Maria Novella train station by public transportation. It has 246 newly furnished guest rooms. 4 lifts available for 7 floors. All guest rooms are soundproof and equipped with safe, satellite TV, self controlling air conditioning, high speed internet connection and hairdryer. 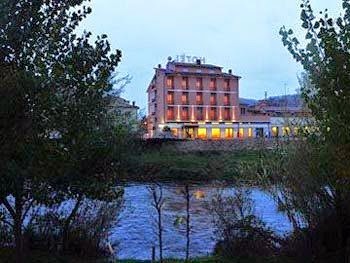 Hotel Cavour is situated on the bank of the river Velino. Its strategic position allows to reach the Rieti's historical city center in few minutes walking along its winding streets. Each of the 34 rooms have LCD satellite TV, mini bar, safe, direct dial phone, hair dryer, air conditioning and internet connection. Some rooms overlook the river Velino on the historical part of the city with the ancient Roman Bridge, others look out onto Piazza Cavour, that is one of the main points of junction to reach the institutions and the commercial areas of the town. The hotel also has a restaurant with panoramic view, breakfast room and a gym. The 4-star H10 Roma Città Hotel is located in the Marconi neighborhood just a short distance from the district of Trastevere and features all amenities travelers enjoy including comfy beds, solarium, national and international newspaper, ice machines, laundry service and also a rooftop swimming pool. The hotel has 181 rooms, which are equipped with flat-screen LCD TV with international channels, smart temperature control, pillow top, MP3 (audio) and PC connection, safe box and professional hair dryer. Next month, in June 2014, the Bob Cole Conservatory of Music at California State University - Long Beach Choir - under the direction of Dr. Jonathan Talberg, will be traveling to Italy on a 11-day performance tour proudly presented by Incantato Concert Tours. Please find below a hotel overview for their homes away from home in beautiful Italy. From June 1 to June 3, 2014 the choir will stay at the 4-star Domus Mariae Palazzo Carpegna in Rome. The hotel is housed in a Renaissance-inspired mansion, surrounded by a seven-hectare Roman garden that overlooks the Villa Carpegna park. The hotel offers guests 200 rooms divided between Classic Rooms, Executive Rooms and Tower Prestige Suites, ample car parking facilities and free wireless internet connection in the hotel’s public areas. Two restaurants are located within the hotel: Le Restaurant and Il Colonnato, together with “Il Chiostro” Café & Bistro and open from 9:30 am to 12:30 pm offering a selection of light, tasty dishes for lunch, dinner or aperitifs. Their next home away from home will be in Rieti from June 3 to June 6, 2014 at Hotel Grande Albergo Quattro Stagioni. The hotel is located inside a nineteenth-century building, situated in the historical center of Rieti between the City-hall square and that of the Prefecture, and next to the Romanic Cathedral of Saint Mary. The hotel has 43 rooms, most of which providing views over the gardens of the Prefecture with its historical Vignola Loggia, and other rooms overlooking the City-hall building and square with the famous Dolphin Fountain. The rooms are equipped with indipendently controlled air conditioning, minibar, flat screen LCD TV’s with satellite channels, Wi-Fi internet connection, direct-dial telephone and hairdryer. The hotel breakfast offers an extensive variety of items such as eggs, bacon, ham, cheeses, brioches, home made cakes, cereals and many more products. 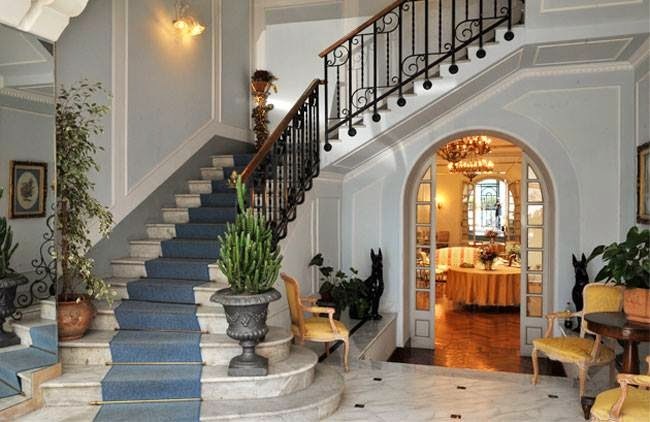 In Florence they group will stay at Villa Pitiana from June 6 to June 8, 2014. It is located in the Tuscan countryside. The villa still retains the articulated architecture of a millenary history, from the foundation as a fortified farm, to the utilization as Benedectine monastery and eventually to the conversion in nobleman elegant Villa in the 19th century. Architecture, decorations and furniture maintain memory of past ages and styles. Each room is furnished in antiques. The exclusive room in the Medieval Tower, Junior suites with a view over Valdarno landscape, Superior rooms with antique furniture and Classic rooms. 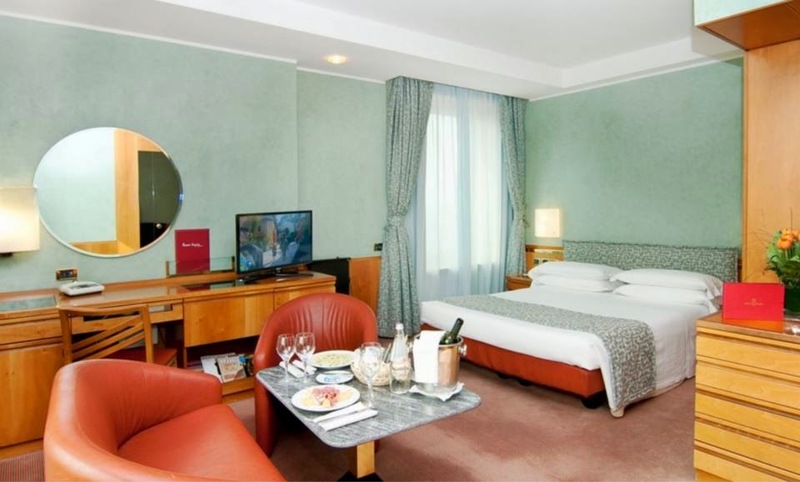 The last home away from home will be 4-star hotel Michelangelo from June 8 to June 10, 2014 in Milan. The hotel is located at 33 Via Scarlati, just down the block from the central rail station. It offers over 300 rooms including singles, doubles, triples and even luxurious suites. The rooms are equipped with magnetic key card entry, satellite television, mini bar, soundproof walls, individually controlled air conditioning and direct phone lines etc. Happy Easter from Incantato Tours! Incantato Concert Tours wishes everyone Happy Easter or "Frohe Ostern" how we would say it in Germany. 1. It is said that Australians are the largest consumers of Easter eggs in the world, but as the Easter bunny is known to have a bad history of destroying the vegetable crops, the eggs are strangely provided by the Easter Bilby (an endangered species in Australia). 2. Germans decorate their trees with colored Easter eggs, some even with 9,000 eggs on one tree as seen in Saalfeld, Germany. 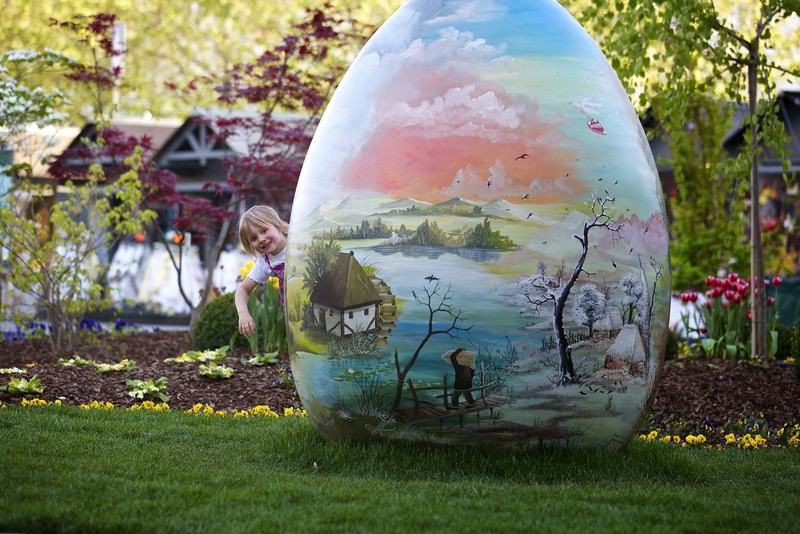 The egg is used a symbol for the ideas of rebirth and resurrection associated with Easter. 3. 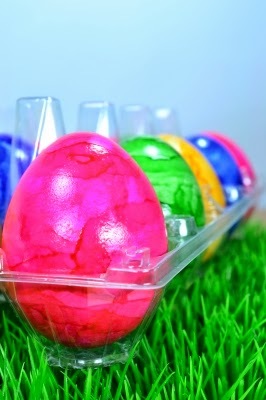 Greeks dye their Easter eggs all in one color: red (as a symbol for Jesus’ blood). 4. Parts of Switzerland, Austria and Germany have an old Easter tradition of decorating wells in order to celebrate the gift of water: life. They decorate the wells with beautifully painted eggs and spring flowers. Incantato wishes MDHS Choirs safe travels! Willkommen in Deutschland und Frohe Ostern! Today the Mater Dei HS Choirs from Santa Ana, California, under the direction of Mr. Scott Melvin and Mr. Justin Miller is going to embark on their Enchanting Easter Performance Tour 2014 to visit countries such as Germany, Austria, Slovenia and Italy with Incantato Concert Tours. The choir leaves today in two groups for their overnight flights to Munich, Germany. Their tour managers Stefania, Kelsey and Hildrun will welcome them at the airport tomorrow on Friday, April 18, 2014. Since it is a national holiday in Germany - Good Friday- they will enjoy a traditional Good Friday dinner after their arrival. More pictures and updates about the choir and its Enchanting Easter Performance Tour 2014 can be found on their blog, but also on our Facebook page. The San Marino High School Chamber Choir directed by Mrs. Tammi Alderman will be traveling to Spain and Portugal from Friday, March 28, 2014 to Sunday, April 6, 2014. Incantato Concert Tours is honored to continue the tradition to bring this fine choir from San Marino, California, on its European performance tours year after year. Please also have a look at our Facebook page where we will be uploading photos of our travelers from SMCC. Incantato wishes Mayfield Senior School safe travels! Benvenuti in Italia! The Mayfield Senior School under the direction of Ms. Denise Darnell is going to leave Los Angeles at 8:25 pm today for their overnight flight to Europe. 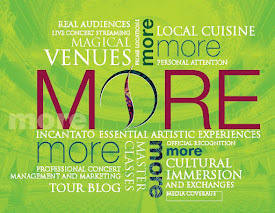 Incantato Tours Italia tour manager Stefania is going to welcome the travelers in the eternal city of Rome. They will spend their first night away from home in Rieti, an Incantato favorite, at Hotel Cavour. More pictures and updates about the choir and its 2014 Italy Arts Immersion Tour can be found on their blog, but also on our Facebook page. Main Mass at the Royal Monastery of San Jerónimo el Real Church, at 1pm. The Iglesia Parroquial de San Jerónimo el Real belongs to the magnificent Royal Monastery of St Jerome, and was founded in Madrid in 1503 during the time of Queen Isabella I, and popularly known as "Los Jerónimos." 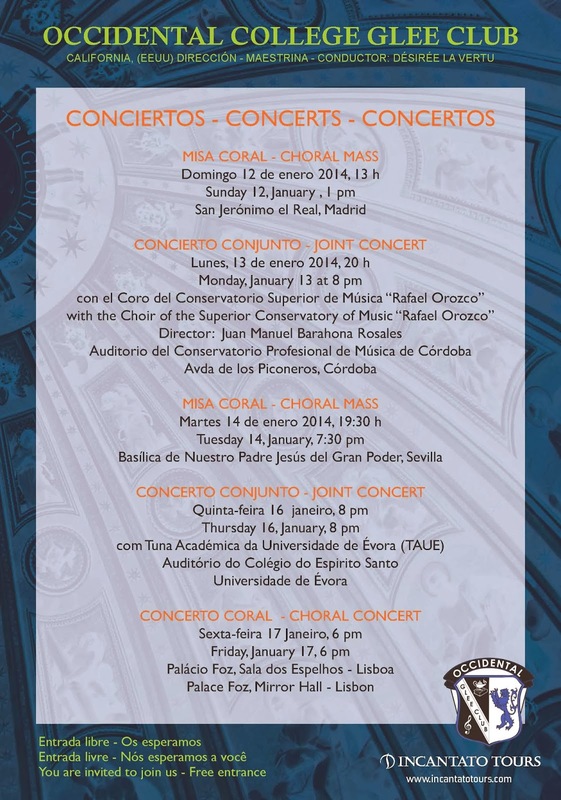 Exchange and Concert with the Conservatorio Profesional de Música. The students of the Elementary and Professional Conservatories of León will be meeting and attending our singers at 6pm. Surely they will be delighted. Concert will be held at the Conservatory Auditorium, at 7 pm, open to all audiences. Exchange with Coro de Cámara del Conservatorio and Coro Universitario. Both the Chamber Choir of the Conservatorio Profesional de Música and the University Choir, will be receiving us for the exchange at Oviedo Conservatory, followed by some relaxing time to get to know each other and share experiences. Joint Concert with Coro de Cámara del Conservatorio Profesional de Música and Coro Universitario, at University Paranymph, 7:30 pm. As a great finale for their Exchange, the Joint Concert will be held at the beautiful University Paranymph, in the Historical Building of the University. The University of Oviedo, among the oldest in the country, started operating in 1608. The Paraninfo hosts a very important number of cultural activities, playing a central role in the life of the city during the whole year. Recital at the Cathedral of Burgos, 1,30 pm. 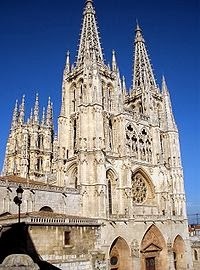 Orange County Youth Chorale singers have been granted permission to present a special recital at the gothic masterpiece Cathedral of Burgos. Heart of the ancient Kingdom of Castilla, burial place of the famous Cid Campeador, and central knot for the Pilgimage to Saint James in Compostela, the cathedral is breathtaking. Exchange and Concert in the Royal Palace of Olite, 8 pm. Upon arrival in Olite, the choir will be received in the Castle of Olite by the Choir of the city of Olite. After some exchange time,our singers will present a concert to the public. Concert will take place at the very Palacio Real de Olite, at 8pm. Ofrenda Coral a la Virgen de Montserrat, Montserrat Basilique, 3,30 pm. The Orange County Youth Choral has been granted extraordinary permission to present the Choral Offering to the Black Virgin of Montserrat, at the main altar. Very beloved by all catalanes, the Sanctuary of Monsterrat is located on a stunning and peculiar mountain range. Concert at Centre Cultural Golferichs, 7 pm. As a finale highlight concert, the choir will be presenting their Choral Concert at the very renown Cant i Clàssica musical program of the Golferichs Main Concert Hall. A beautiful modernist venue for a great finale concert. We are sure the singers, families and friends of Orange County Youth Choral will keep longlife memories of their performance tour! The Orange County Youth Chorale and their family and friends under the direction of Mr. Keith Hancock are going to embark to a 10-day performance tour to Spain. Starting on Friday, April 4, 2014 they will discover wonderful cities such as Madrid, Leon, Oviedo, Olite and Barcelona and perform in stunning venues such as San Jerónimo el Real in Madrid, a Roman Catholic church from the early 16th-century. They will return to California on Sunday, April 13, 2014 with memories that last a lifetime. Lufthansa flight LH453 leaves Los Angeles (LAX) for Munich (MUC), Germany, at 5:20 pm, arrival is at 1:40 pm the next day (Saturday, April 5, 2014). The group connects from Munich (MUC), Germany at 2:55 pm with Lufthansa flight LH1804 to Madrid (MAD), Spain, with an arrival time of 5:35 pm local time. ¡Bienvenido a España! 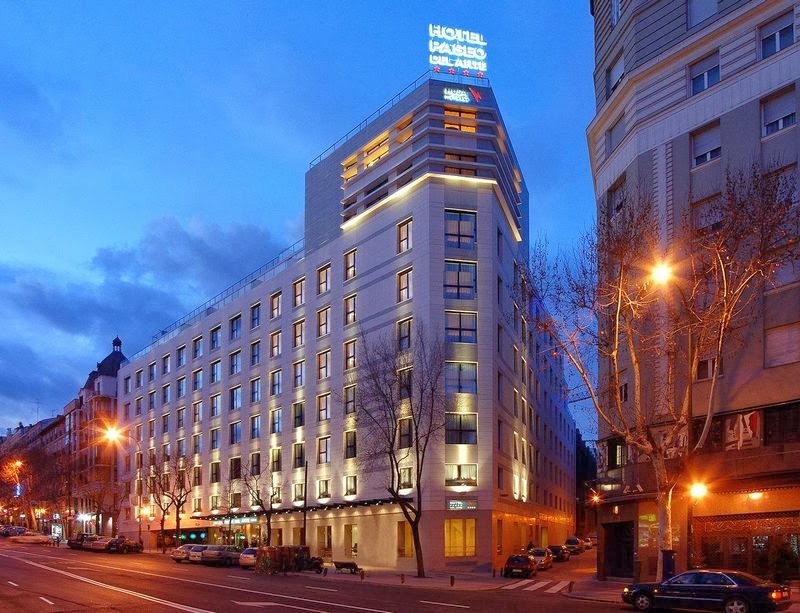 The group embarks on an orientation tour and enjoys Spain's capital city Madrid prior to check-in at their 4-star hotel Husa Paseo del Arte (see picture on the right) and a special welcome dinner. They enjoy a half day sightseeing tour with their Tour Manager, coach and local guide around the city, including the Royal Palace prior to singing for Mass in the city‘s stunning cathedral named San Jerónimo el Real (see picture on the left). After leaving the capital city of Spain, the journey continues to Leon. This amazing town was founded by the Romans and is because of the Gothic cathedral and romantic monuments a must-see. A special highlight will be the exchange with the Conservatorio Profesional de Música. 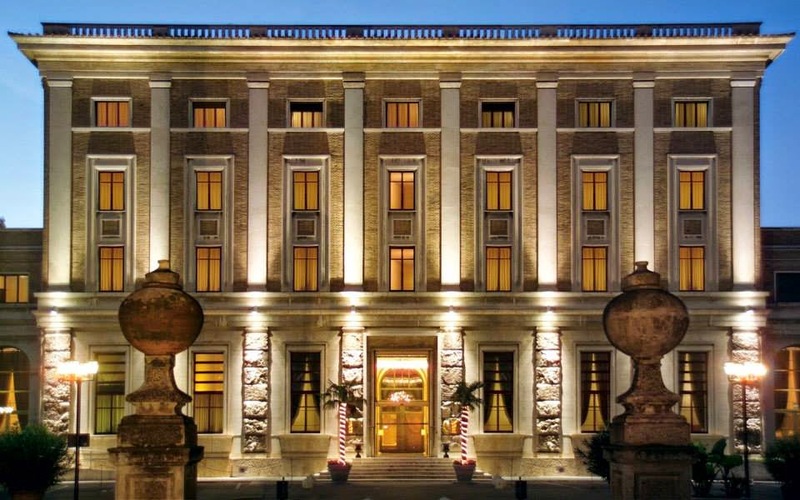 Overnight at the 4-star Hotel Conde Luna. After spending the morning in Leon, OCYC continues further North to Asturias and the beautiful Costa Verde. Upon arrival, they meet fellow singers at the Conservatorio Profesional de Música in Oviedo and rehearse for a highlight performance the next day. The Coro Universitario will join them for the exchange. Home away from home is the Hotel NH Principado, at the heart of the city. After seeing the old town‘s various monuments and traditional shops, the group prepares for a concert and exchange with Conservatorio Profesional de Música in Oviedo and Coro Universitario. The concert will be held at the historical and beautiful University Paranymph. They enjoy the magnificent town of Burgos with its stunning cathedral (see picture on the left) and rich history. The Orange County Youth Chorale could be the featured guest choir for Mass at the Cathedral before continuing on to the medieval town of Olite. The home away from home is the 4-star Hotel Hola Tafalla (see picture of a room above on the right). The group visits the magnificent monastery of Montserrat perched high upon an unusual rock mountain, then continues to the vibrant city of Barcelona. This very afternoon OCYC prepares for their final highlight performance at Centre Cultural Golferichs. The guided tour of Spain‘s second largest city will include many well-known highlights such as La Rambla, the Boqueria Market or La Sagrada Familia. A tapas dinner introduces them to the local cuisine of Catalonia. There is so much to see and do in Barcelona therefore the group enjoy another day with their tour guide in this stunning city. The day will end wit a farewell dinner party featuring local specialties and Flamenco music. Home away from home in Barcelona is Ayre Hotel Caspe. Lufthansa flight LH1817 departs Barcelona (BCN), Spain, at 7:55 am for Munich (MUC), Germany, to arrive at 9:55 am local time. The group then connects from Munich (MUC) at 12:15 pm with Lufthansa flight LH452 to Los Angeles (LAX), with an arrival time of 3:30 pm local time. The group then connects from Munich (MUC) at 12:15 pm with Lufthansa flight LH452 to Los Angeles (LAX), with an arrival time of 3:30 pm local time. 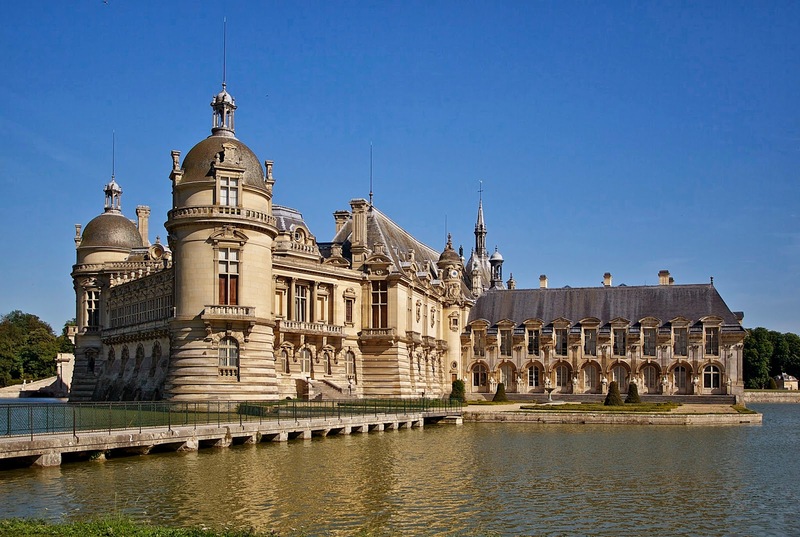 The Château de Chantilly is a historic château located in the town of Chantilly in France. The site comprises two attached buildings: the Petit Château built around 1560 for Constable Anne de Montmorency, a comrade in arms of Francis I in Marignan, who plays a distinguished political role under Francis I and Henri II; and the Grand Château, which was destroyed during the French Revolution and rebuilt in the 1870s. Owned by the Institut de France, the château houses also the Musée Condé. It has a painting collection with of over 800 masterpieces of French, Italian, Flemish, English paintings, which makes it the number one museum of ancient paintings (prior to 1850) in France after the Louvre Museum. Since the medieval ages, the Chantilly Estate has belonged to the great Prince families of France such as the Orgemont, Condé or Orléans family. During the Revolution the Chantilly Collections are seized as emigrant property and transported to the Louvre. The Chateau served as a prison. In 1799, the buildings are sold to demolition workers who demolish the Grand Chateau all the way down to the terrace. After 1815, Prince Louis-Joseph, returning from emigration, decides to restore the apartments and obtains the restitution of portions of the collections held at the Louvre. He asks architect Victor Dubois to design the English Garden in 1817 and to fill the gap separating both chateau. Did you know that Château de Chantilly also had a dairy factory which was built in 1754, within the park of the Château of Chantilly? Unfortunately the building and the factory no longer exist. Back in the days, when visiting the premises, the princes' guests were offered ice cream, fruits and all sorts of cream delicacies. The first mention of the now infamous Chantilly whipped cream appears June 18, 1784, in a text written by the Baroness of Oberkirch about a lunch at the Hameau. Bienvenido a Madrid! 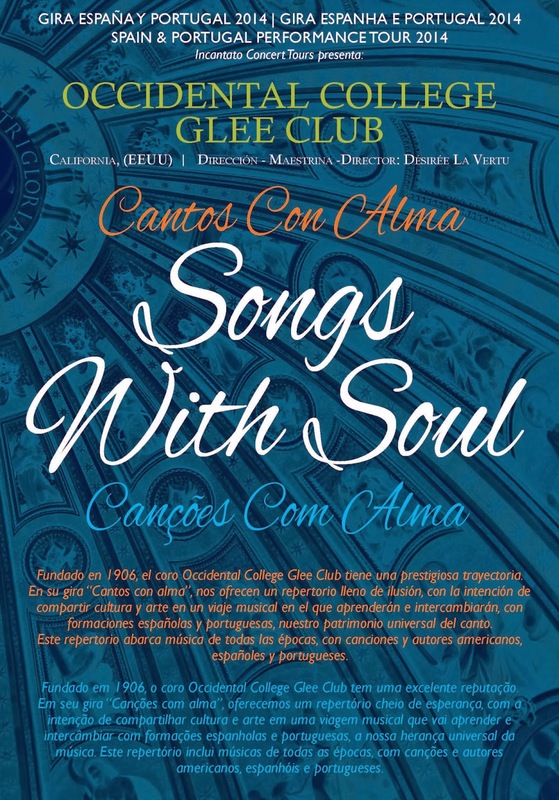 Incantato Concert Tours welcomes the Occidental College Glee Club in Spain! Incantato Concert Tours wants to wish the Occidental College Glee Club, our first touring choir this year, safe travels. They are leaving Los Angeles International Airport today and will arrive in Madrid, Spain tomorrow. The choir travels to Spain, and Portugal visiting cities on the way such as Córdoba, Seville, Évora and Lisbon. One of the main highlights of their tour is the performance in the magnificent Palácio Foz in Lisbon and singing main mass at the Royal Monastery of San Jerónimo el Real Church, in Madrid. Updates can be found on our facebook page, but also on their very own tour blog. Please feel free to check it out. Happy New Year from Incantato Concert Tours to you! Incantato Concert Tours wants to wish all of you a Happy New Year. What better way to start the new year than with this wonderful New Year's concert video of the Vienna Philharmonic Orchestra? Happy Halloween from Incantato Concert Tours! It is the time of the year where houses are decorated with vampires, bats, skeletons and scary craved pumpkins. It is also the time where a scary amount of candy is consumed and late night TV host Jimmy Kimmel showed us what can happen if parents prank their kids by telling them they ate all their Halloween candy. Halloween which was originally introduced to the United States by Irish immigrants in the 19th century, began as a pagan festival honoring the dead. It is a big celebration in the United States and millions of children (and adults) look forward to dress up and enjoy the spooky days every year. Since we are specialized in traveling to Europe, we thought we show you how and if Europeans celebrate it. US-Halloween customs have spread since the 1990s in continental Europe, starting in France the holiday has become increasingly popular in Belgium, Sweden, Norway, Netherlands, Germany, and Austria. Before 1990 the holiday was fairly unknown. 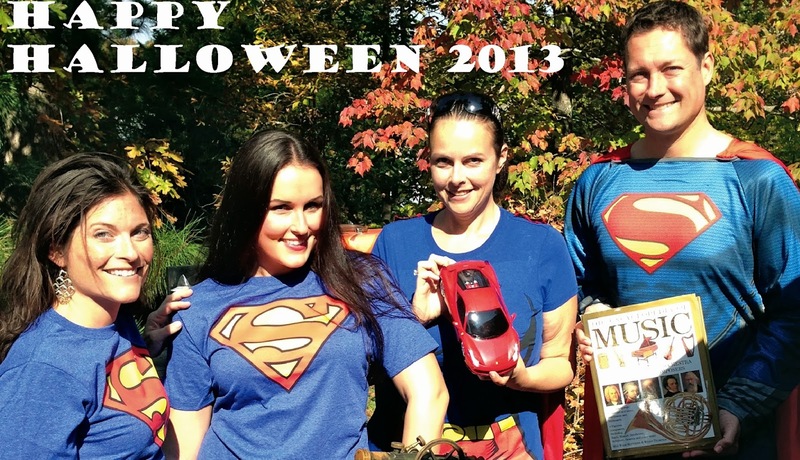 Nowadays, on October 31 you will find people dressed up for Halloween parties and kids go with their parents for trick or treating in their neighborhood but it is definitely not as common and wide-spread as it is in the United States. Europeans have their own spooky celebrations such as Oíche Shamhna literally "Samhain Night" in Ireland. On Halloween night, adults and children dress up as creatures from the underworld and enjoy spectacular fireworks displays. In Romania, Halloween is celebrated around the myth of "Dracula" on October 31. The spirit of Dracula is believed to still live in the country and Romanians love to celebrate this special day. The Swiss Tourism Board has recently launched My Switzerland, an app that is designed to side-step the tourist traps and help you see the destination through a local’s eyes. The hands-on app will take you straight into the heart of the city and offers a multitude of expert advice, insider tips, as well as recommendations from 30 local contacts throughout the country and from all backgrounds. 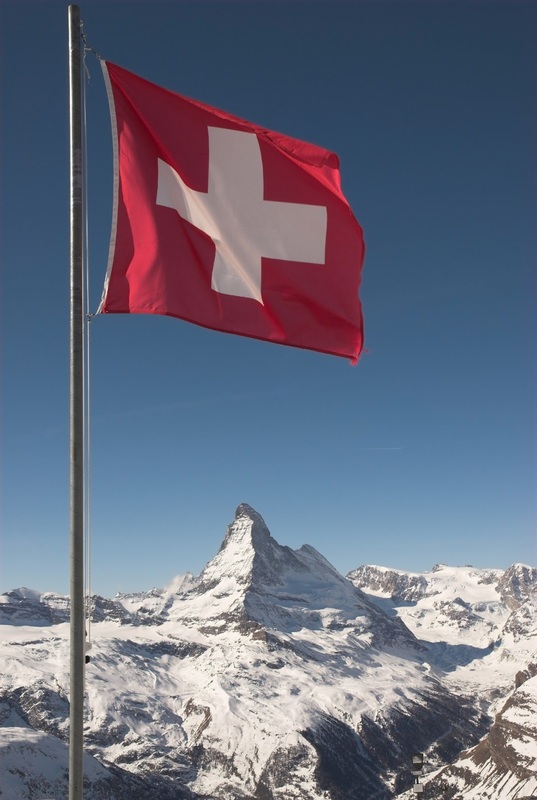 Whether you are a foodie, enjoy cultural activities or just want to go shopping, the My Switzerland app is designed to lead the way. The app also customizes its recommendations according to your preferences and even mood, which you can choose. Or, just let the app inspire your daily activities with its random mode. You can also search by city, access interactive maps, and much more. To read the full article, including a link to download the app, please click here. The Incantato Concert Blog is a just one of many unique features we offer the fine choirs that grant our experienced, caring and dedicated staff the opportunity to organize and promote their concerts overseas. We are happy to share their experiences abroad and try to update the website as often as technically possible. We hope you enjoy the blog and encourage you to check back frequently, leave comments, provide suggestions etc. Have a great day! - The right amount and high quality of the performances. Our concerts and masses were wonderful. - Outstanding tour managers that were a wonderful combination of knowledgeable, flexible, personable and fun! - Great meals, consistently. My vegetarians were very pleased also. - The choir manager and I are very appreciative of your personal attention to our questions during the planning stages of the trip. It was a pleasure to work with everyone at your organization and I would be happy to share my experience with Incantato with other potential clients." "It was a true pleasure working with Sandra and Incantato on our Italy Tour 2008. She is very detail oriented and surpassed many of our expectations. I would recommend Incantato to anyone planning a concert or performance tour." "I have only wonderful things to say about Incantato Tours! The UGA Chamber Choir traveled to Italy in 2009. From the marvelous concert venues to the excellently managed tour, this was really a dream trip. The highly professional and expert Incantato tour manager who was with us throughout the entire trip, the fantastic bus drivers, and the knowledgeable city tour guides all helped to make the tour run exceptionally smoothly. Probably most important was that this entire trip was really a specialty tour designed especially for this particular choral group. Incantato Tours made it possible for us to sing in some very remarkable places, including the Sistine Chapel. Planning a tour takes incredible dedication and Incantato Tours would definitely be my choice again!" "There are at least four essential ingredients for a successful and rewarding concert tour for young people and their sponsors —appropriate concert settings, advance publicity, opportunities for learning about the areas visited (including exchanges with the local youth), and good logistical planning. The recent tour of the Akron, Ohio Summit Children's Touring Choir through Germany, the Czech Republic and Austria was successful indeed. The venues were most impressive and beautiful. The publicity produced large responsive and appreciative crowds as well as mayor’s receptions with recital opportunities at city halls. The knowledgeable tour guides and the visits with local youth and choirs provided an experience for the choir members that will not be soon forgotten. The schedule for travel, meals, concerts and touring were planed and flexible enough to accommodate for unexpected delays without loss of any scheduled tour, exchange or concert. Finally, a "shadow tour" of parents and sponsors was also a success and allowed those who wished to do so to attend every reception, recital and concert while being guided on a separate tour, well planned and executed. As one who worked with Sandra Weinacht and her staff at Incantato I can assure you it would not have been such a success without their planning and execution of our tour. They are to be commended and I would highly recommend Incantato Tours to anyone considering a group tour, especially a performance tour. "Of the eight international tours I've taken as both singer and conductor, last summer's CSULB tour to Naples, Rome, Florence and the Amalfi Coast with Incantato was the best organized and the most fun. Our tour manager and guides were professional, wonderful teachers, and our venues were beautiful. We saw stunning posters for our events everywhere we walked. The marketing for our concerts was incredible! Our audiences were huge and exuberant, and Incantato made all the pieces fell into place beautifully. Thank you Incantato Tours for the personal attention, for the flexibility that allowed us to choose exactly where we wanted to go and what we wanted to see. We're already planning for 2010." "Canticum Novum, The tour choir of Central Church in Phoenix just completed its most successful tour in 35 years of concertizing abroad, solely due to the excellent management of Incantato. Their attention to every detail, response to every request, superb International Staff, and excellence in concert management are singularly distinctive. Theirs is a professional concert management group who are also excellent providers of travel services. That is a distinctive difference. Travel agents are for travel; Incantato provides concert management in stunning venues, and the organizational minutia supporting these artistic events in addition to fine-tuned travel experiences filled with special amenities. If music making in superb acoustical spaces to wonderfully receptive audiences is your priority, Incantato is the professional tour group for your ensemble." "The San Marino Chamber Singers have been very fortunate to travel several times already with the director of Incantato Tours, Ms. Sandra Weinacht. She was our personal tour and concert manager when we traveled to Italy in 2005 and then designed, organized and oversaw our tour to Central Europe in 2007. It was another huge success. Aside from selecting and working with prime venues only, Ms. Weinacht's staff also put in great time and effort in promoting our concerts through beautiful designed and professionally printed concert posters and cards. Incantato's marketing of our performances became highly visible to the public and contributed to the success of every concert. I have been more than impressed with their professionalism and highly recommend Incantato Tours to everyone. They definitely cater to each choir member's personal needs and watch every detail. The hotels were carefully selected, the meals were beyond our expectation. If there were ever any problems, they were dealt with beautifully and professionally on the spot. We were very impressed with how well the whole tour was executed. The next time we go back to Europe, it will be with Incantato Tours." "Well, you did it. I don't know how, but you did it! You accepted the challenge, and performed a small miracle. My hat is off to you and Ted for creating what is, for me, the most musically satisfying tour we have taken. All of the kids who have been on the three tours (Italy, China, and Europe) agreed, hands down, that this was the best ever. For them it's about the music in the wonderful cathedrals and the exchanges with the local kids. In festival-type situations they are not really "up close and personal" with other kids - they're mostly rehearsing. At any rate, a toast to Incantato, to you and Ted for fulfilling your dream, and for making so many people so happy - now and in the future. Thank you!" "Incantato stresses the small town experience as well as the traditional larger cities, but it wasn't until I looked out on the valley and town of Salice Terme spread out below us as we enjoyed a wonderful home-cooked Italian meal that I truly understood or appreciated that element. At that moment, "Italy" became much more than a series of famous cities to check off my list; it became a real world, a place of rolling hills as well as marble cathedrals, time-honored traditions and modern technology. A true mix of culture and heritage unknown and unappreciated by those in the United States --- until you arrive! The experience we had of singing in the Sistine Chapel is absolutely indescribable, yet I must try. It's been almost three months since the last note of Gregorio Allegri's Miserere echoed off Botticelli's walls and Michelangelo's awesome ceiling, but to the choir it is still as vivid a memory as if we sang there last night. I can't thank Sandra and the Incantato Team enough for arranging such a poignant moment"